Do you love your pet…but hate the STINK? Discover the ultimate ODOR-REDUCING pet bed to keep your pet happy and your house smelling great. 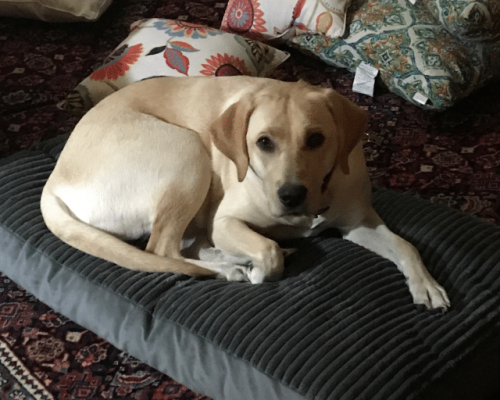 This is Opie, one of our first pet bed customers. Opie’s dad wanted a pet bed that would keep the pet odor down in the house while also being a healthier option for Opie. 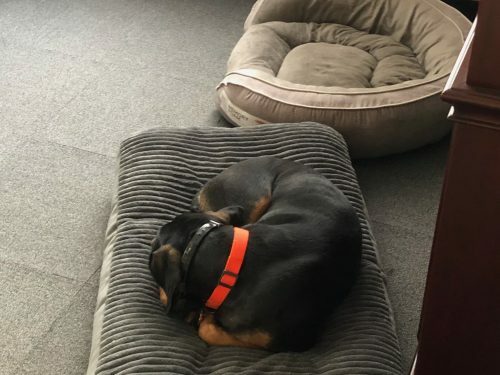 Look at the top of the picture and you’ll see the pet bed Opie used to sleep on. Since getting the Silverite pet bed, Opie ignores the old pet bed. They say a picture is worth a 1,000 words, well this picture clearly says that pets choose the Silverite Pet Bed! Give Yourself and Your Pet a Gift Today! Your beloved pet will enjoy sleeping, resting, and cuddling up on our Kapok filled bed with nature’s silver and anti-odor technology.